Borderlands fans have been patiently waiting for Gearbox to unveil the next installment in the wacky and beloved sci-fi universe. Given recent teases, odds are the game will be revealed during next week’s panel at PAX East 2019. However, Borderlands 3 may not be the only franchise related surprise Gearbox has in store. 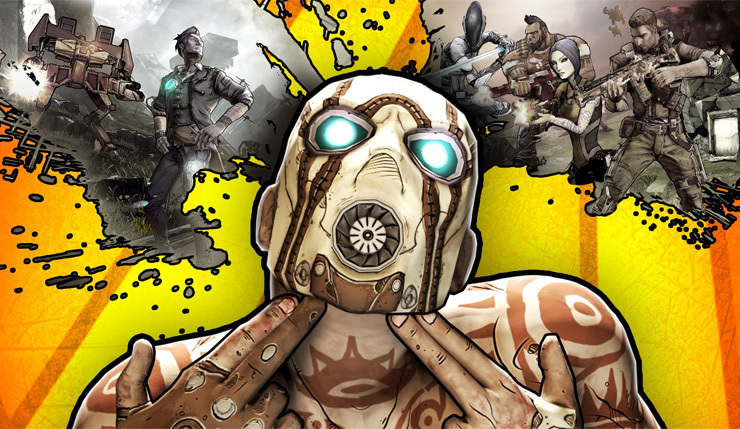 In fact, the ESRB has just outed the existence of a Borderlands Game of the Year Edition for PC, PlayStation 4 and Xbox One. This is a first-person shooter in which players assume the role of a Vault Hunter (i.e., treasure hunter) on a quest to uncover an alien vault on the planet of Pandora. Players explore an open-world environment and interact with characters, while completing mission objectives. Combat missions require players to use futuristic firearms (e.g., acid pistols, electrical shotguns, grenade launchers) to kill human bandits, alien creatures, and robotic sentries. Battles are frenetic and accompanied by screams of pain, gunfire, and large explosions. Human enemies emit large splashes of blood when shot and killed; some attacks may result in dismemberment and/or decapitation. The game contains frequent instances of mature humor, sometimes suggestive/sexual in nature: radio advertisements for male-enhancement products (e.g., “Do you ever feel like you are firing blanks?”); dialogue and text about body parts and other innuendo (e.g., “Really ‘preciate you takin’ a poke at that…uh, the system, not my mom”; “And pop! Went the weasel. I like it when things pop.”). The words “sh*t” and “a*shole” are heard in the game. It is unclear whether this would be a remaster or a full-blown remake of the first Borderlands game, originally launched in Fall 2009 for PC, PlayStation 3 and Xbox 360. However, stay tuned on Wccftech and we’ll make sure to let you know all the details once they are made official by the developers.